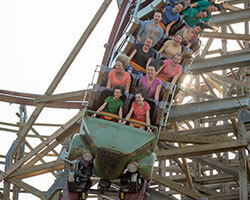 Get unlimited digital photos from your visit to Kings Dominion! 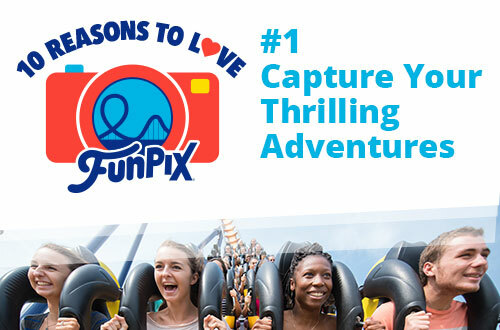 Capture a season of memories when you add FunPix to your 2019 Season Pass and get unlimited digital, professional park photos from every visit to Kings Dominion during the 2019 season. 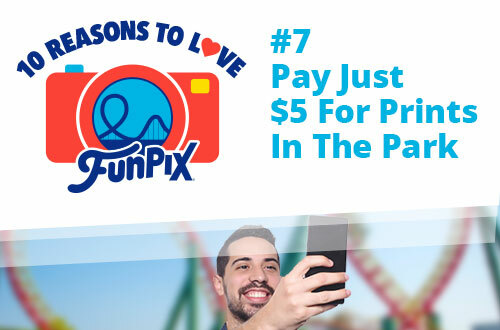 Get FunPix to capture, collect, and share all of your professional park photos from a single visit to Kings Dominion in 2019. With FunPix, you get unlimited digital downloads of all of your photos! 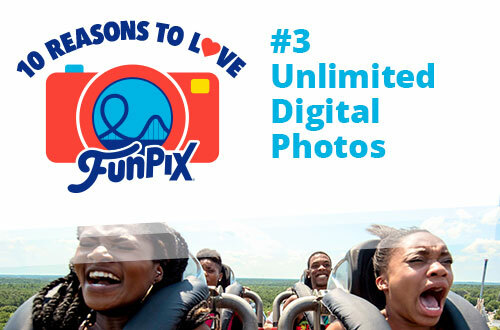 Capture all of the thrills with unlimited digital photos at FunPix locations throughout the park! Capture thrilling memories on select rides: Twisted Timbers, Dominator, Great Pumpkin Coaster, Intimidator 305, Log Flume, Apple Zapple, and Woodstock Express. 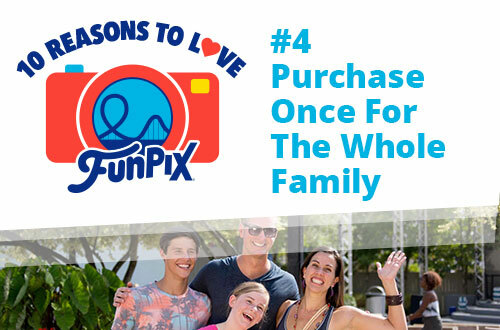 Look for the FunPix logo to find one-of-a-kind photo experiences to create your own special memories with photo borders exclusive to FunPix cardholders! Smile! 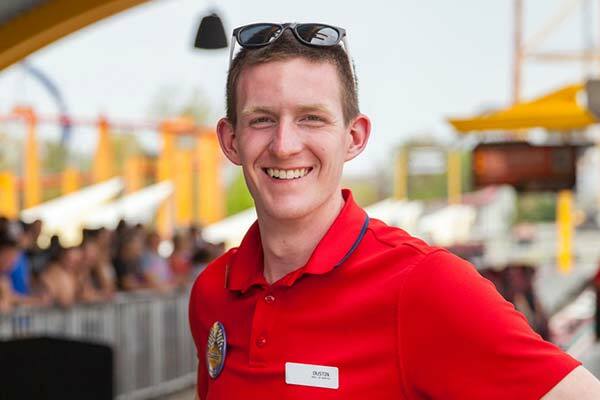 Let our roaming photographers snap professional quality photos of you during your thrilling visit to Kings Dominion! 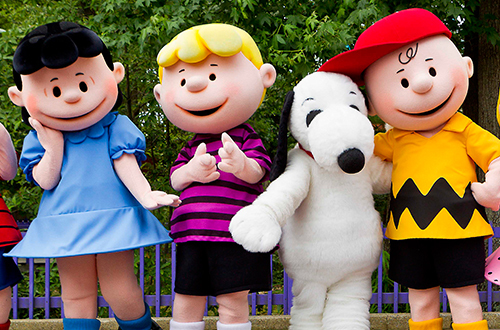 Get your photo taken with your favorite Peanuts characters and capture the moment with FunPix! How do I use FunPix? 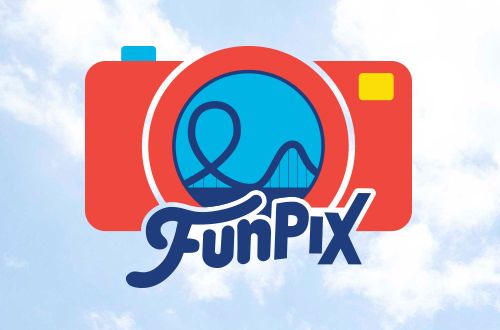 Purchase a FunPix plan online, at the front gate or at any Fun Pix location and create your account. Download the park app to your mobile device. This is where all your FunPix photos will be housed. Get your photo taken at locations throughout the park! At FunPix Photo Spots. Open the park app and scan the QR code at each Photo Spot with your mobile device to unlock special borders for taking one-of-a-kind photos. 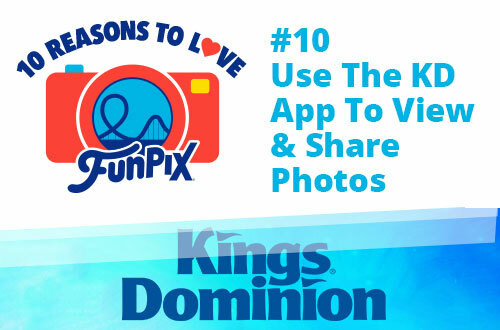 All FunPix digital photos taken throughout the day (with a Single Day Digital Pass) or season (with an All Season Digital Pass) can be found within the Kings Dominion app. Download as many digital photos as you would like from the app or our FunPix website. 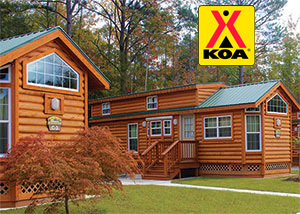 Order prints the same day in the park and receive a great price. How do I redeem my FunPix voucher? Print the receipt and bring it with you on the day of your visit to the park. Present the receipt at any FunPix location to get your FunPix card and create your account. That's all there is to it! Remember to have your card scanned any time your picture is taken at a FunPix Location to add that picture to your account! 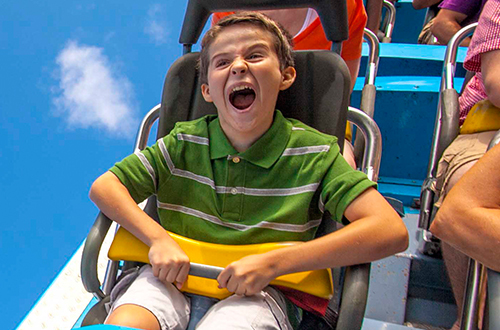 Season Passholders, your FunPix voucher is tied to your season pass, just present your pass at a FunPix location and let them know you have FunPix! What if I lose my FunPix card? No problem! Just come to a FunPix location, give us your email address and we’ll issue you a new card and link your existing FunPix photos to it. I purchased FunPix online but forgot to bring my voucher. What do I do? It’s OK! As long as you have the purchase receipt on your mobile device, we can access the information we need from there. Or, visit Guest Services. How long will the FunPix photos be available in the app or online? 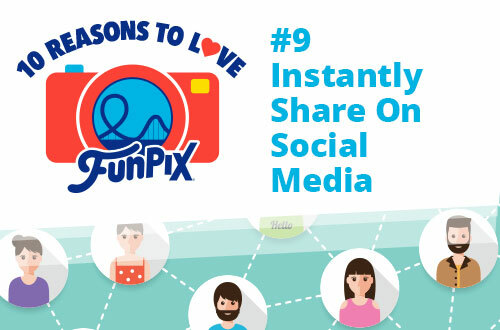 For Single Day Pass holders, FunPix photos will be available for 30 days. 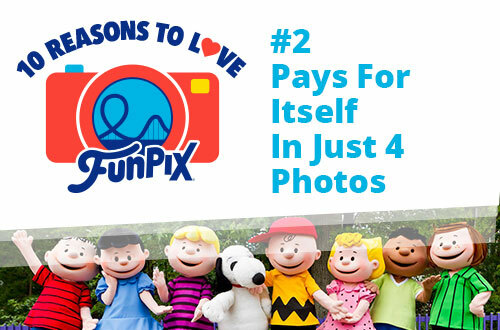 For All Season Pass holders, FunPix photos will be available until the end of the season. Are antique photos or videos included in FunPix? No, those are separate activities. Is Santa Photo included with my FunPix? Your digital photos can be added to your FunPix account with the purchase of any regular price Santa Photo item. FunPix discounts do not apply to Santa Photo. Do I qualify for a Season Pass discount on my FunPix card or products? No, FunPix is already a tremendous value, so no additional discounts apply. I am not a Kings Dominion season passholder. May I buy a FunPix All Season Digital Photo Pass? 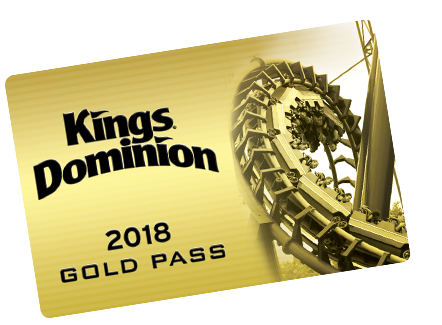 No, the FunPix All Season Digital Photo Pass is available only to Kings Dominion season passholders. 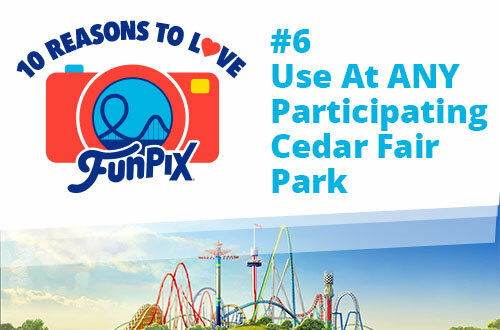 Can I use my FunPix card at other Cedar Fair parks? How do I renew my All Season FunPix account for 2019? 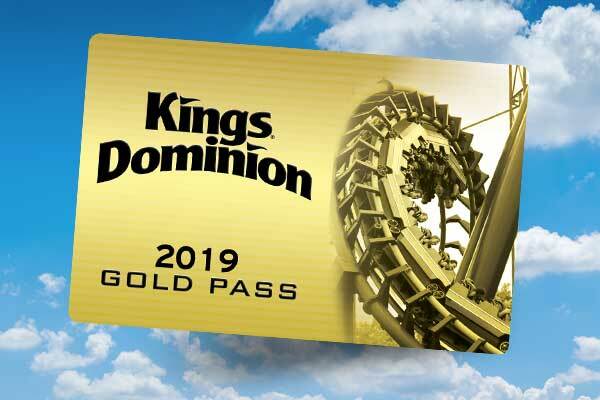 When you renew your Kings Dominion Season Pass for the 2019 Season, just add FunPix to your pass, and your FunPix account will automatically renew for the 2019 season.